Braun FaceSpa Pro 911 3-in-1 facial epilating, vitalizing & skin toning system with 5 extras. The Braun FaceSpa Pro is the world's 1st 3-in-1 facial epilation, cleansing & skin toning device. 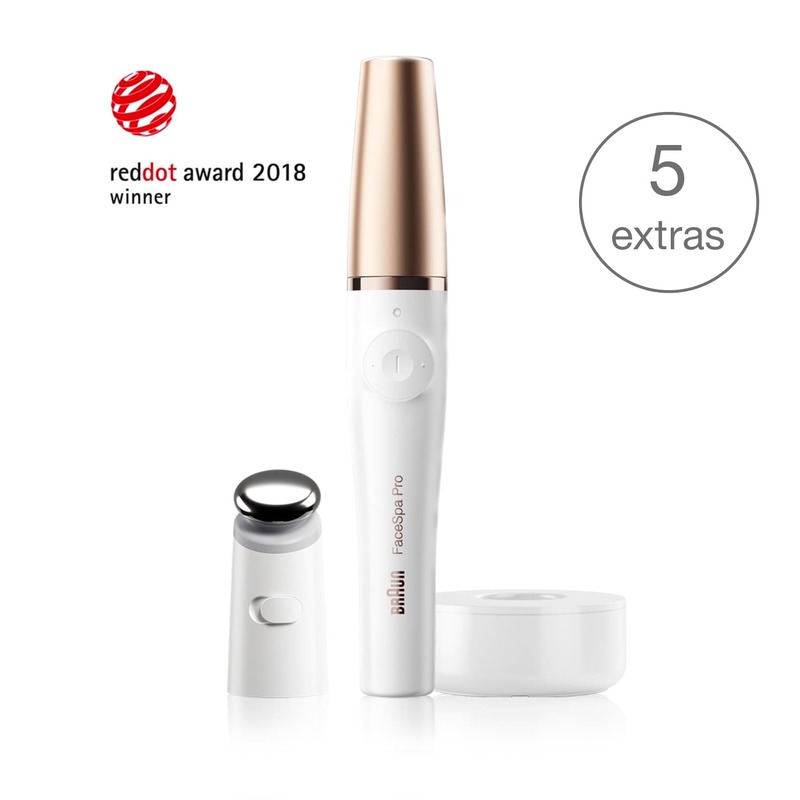 Gently remove facial hair by the root with the epilator attachment for long-lasting smooth skin. The sensitive facial cleansing brush gently removes impurities from senstive skin. A MicroVibration head works with your serum or cream for skin-toning effects¹. <br> <br> <br> ¹Better application of your skin care product vs manual.